At our Mazda dealership, your satisfaction will always be our first priority. We offer a stress-free approach to the car-buying process and love to go above and beyond to meet your needs. We also believe that servicing your Mazda should be convenient, which is why we welcome walk-ins to our Mazda service center and provide same-day service for our customers. In fact, we even match service coupons from our competitors to ensure you pay a fair price for your Mazda maintenance and repairs. 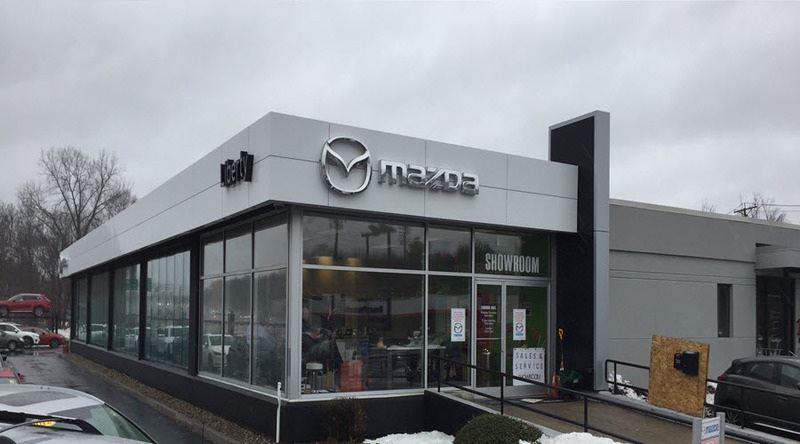 Factor that with our new Mazda showroom and additional service bays that we're building this summer, and you'll find that we always have you in mind at our Massachusetts Mazda dealership! Looking for More Reasons Why You Should Buy from Liberty Mazda? Our staff wants to see you upgrade your drives in a newer and safer Mazda, which is why we offer our Mazda Step Up Program. This program allows you to slide behind the wheel of a new Mazda while keeping your payments the same, or possibly lower. When you buy a new Mazda from Liberty Mazda, you'll be enrolled in our complimentary Liberty CarePlus Program. This program includes a 5-year/100,000-mile extended warranty, as well as a 12-month/12,000-mile service warranty, to help you drive with peace of mind. If your Mazda needs maintenance and repairs, take advantage of our complimentary shuttle service or Mazda loaner vehicles and carry out your day uninterrupted. Should your Mazda suffer a flat tire on the road, rest easy knowing you have access to 24-hour towing service with Liberty Mazda! For an impressive inventory, a personalized car-buying process and attentive service, come to Liberty Mazda. We're excited to get you on your way to an outstanding Mazda ownership experience today!